Yokohama Sankeien (三溪園) is a garden presenting Japanese beauty and where you will meet elegance of four seasons and historic charm. Sankeien is a traditional and typical Japanese- style garden designed and landscaped by Sankei Hara. 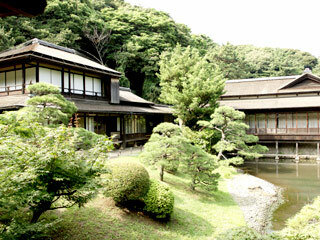 He preserved old building of historic importance from place such as Kyoto and Kamakura, removed them in this garden. In the garden, 17 old buildings of high historic value are skillfully arranged in harmony with the seasonal changes of the natural scenery. Entrance fee: 500 yen, 200 yen for kids, and 300 yen seniors.